Youth Mass next Sunday, November 20 at 12 noon. Cemetery Masses 2011 (Weather Permitting). 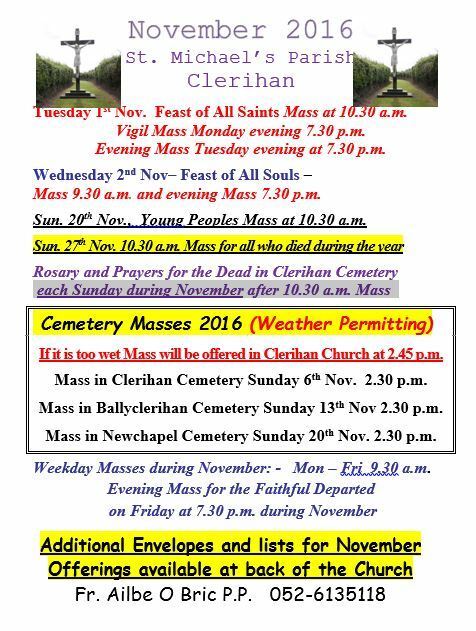 If it is too wet Mass will be offered in Clerihan Church at 2.45 p.m.
Mass in Newchapel Cemetery next Sunday, November 20 at 2.30 p.m. Weekday Masses during November:- Monday to Friday 9.30 a.m.
Evening Mass for the Faithful Departed on Wednesday and Friday at 7.30 p.m. during November. Sunday, November 27 the 10.30 Mass will be offered for all who died during the year. November Masses available at back of the Church. Please hand in your November Offerings as soon as possible. Youth Mass on Sunday, October 16 at 12 noon. 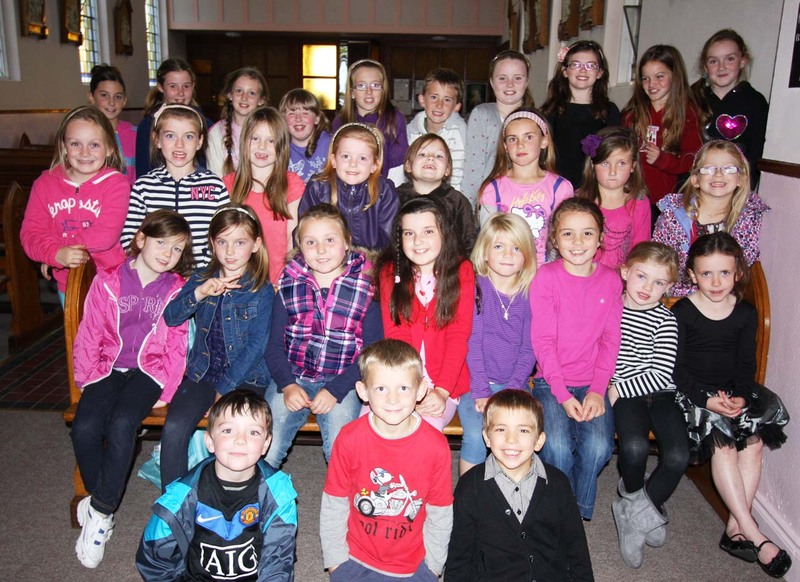 (3rd Sunday of the Month) Junior Choir practice on Saturday 15 October from 6.30 to 7 p.m. Also short choir practice before Mass on Sunday. Thanks to all who came to the choir practice on Saturday evening. They sound great !!! Remember our Youth Mass Sunday, September 18 at 12 noon.